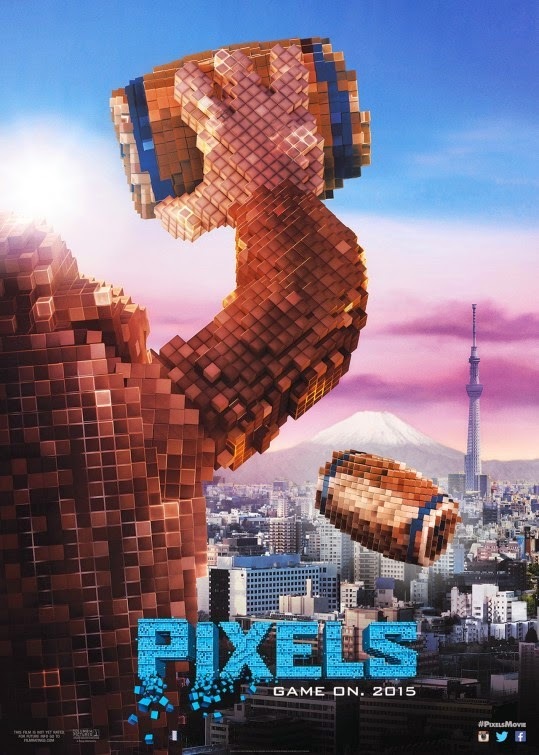 The movie Pixels: trailer, clips, photos, soundtrack, news and much more! Pac-Man is hungry, isn’t he? 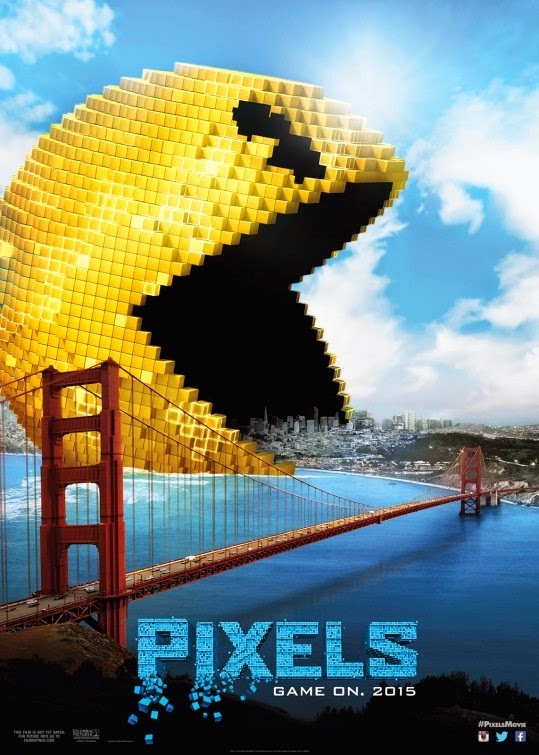 Damn, the gluttonous Pac-Man is eating skyscrapers! 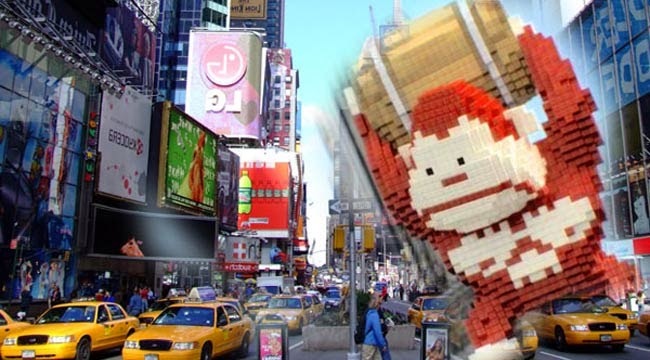 Pixels – Meet the arcade heroes! Lady Lisa looks good in that red dress, doesn’t she? If only she could take it off, lol! I read that playing video games makes your brain smaller. Well, sounds like it wasn’t enough: now video games want to kill you! You know the end of the world is near when Adam Sandler is touted as the ultimate savior, lol! Anyway, love the hilarious final scene of the trailer with Pacman biting his creator’s hand. The cast includes Adam Sandler, Josh Gad, Peter Dinklage, Michelle Monaghan, Kevin James, Jane Krakowski, Sean Bean, and Brian Cox. 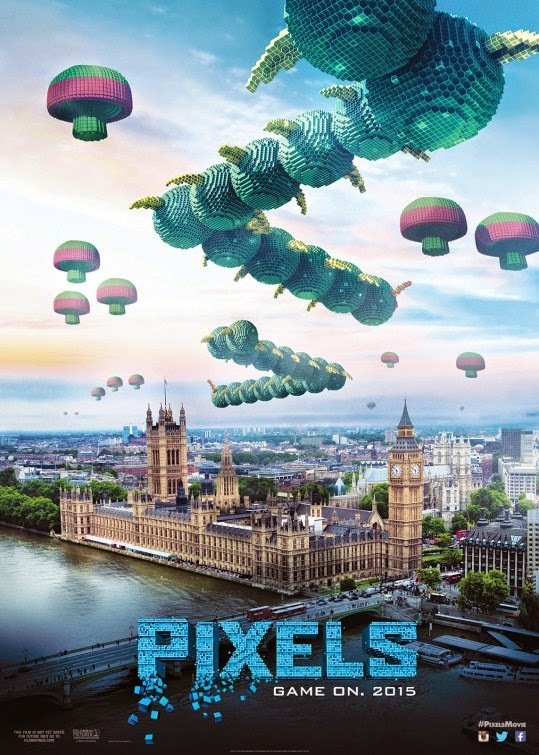 Pixels – Welcome the electric dreams factory! Do you want you take part to the competition of a lifetime? Go to San Diego then! The plot synopsis sounds a bit dumb, but since Adam Sandler in involved it’s not surprising… But at least we know it’s going to be a funny movie! 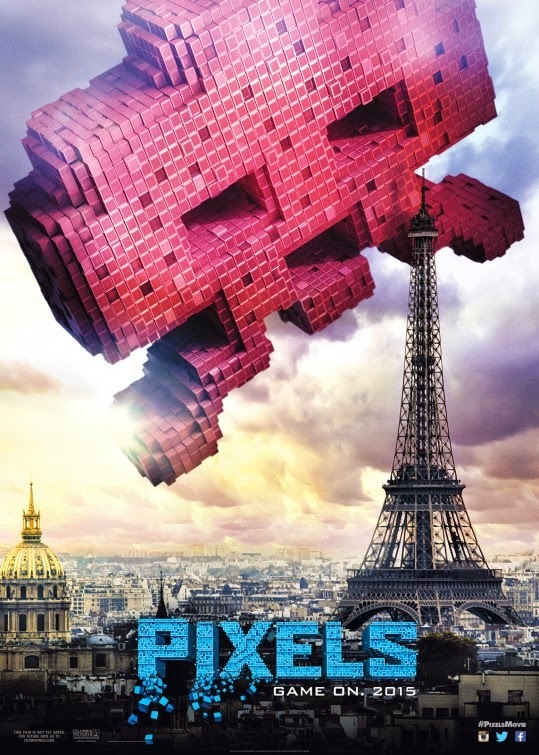 The release date of Pixels is set to May 15, 2015.